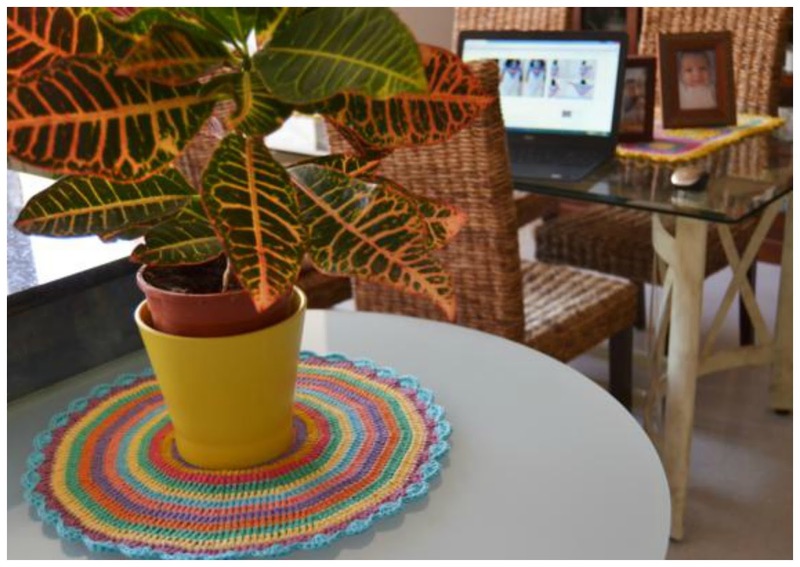 Since a long time I wanted to make a doily for the kitchen table. I wanted to do it with the same colors as the doily of the dining table. And today I present you my new crochet doily. 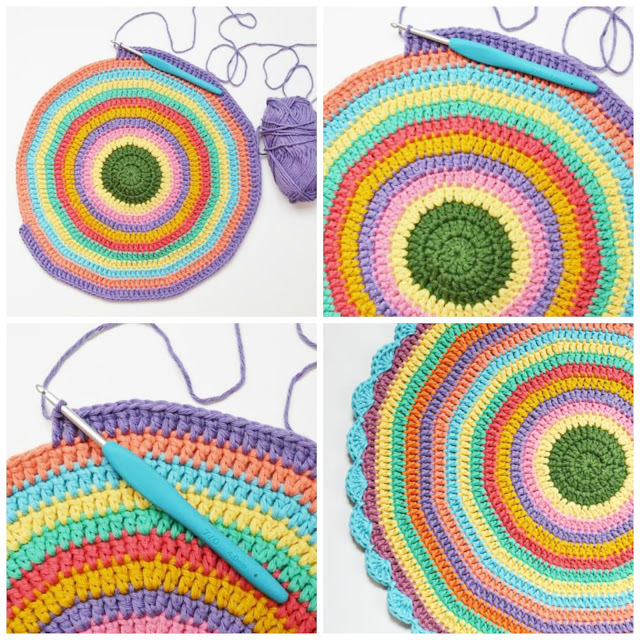 I'm working with 4mm crochet hook and DROPS PARIS yarn. I love all the colors of these DROPS!!!! 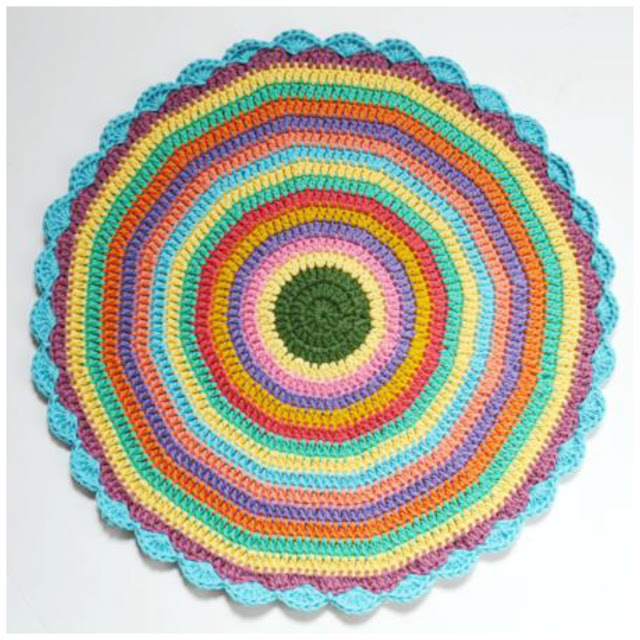 The crocheted mandala measures 42 centimeters in diameter. and I hate a lot .... I think it is time to give it a touch of color! 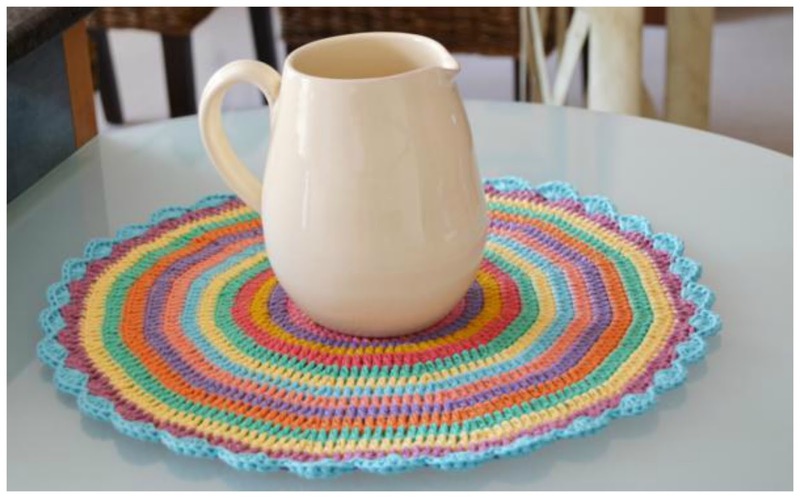 Hi Cristna, I just love your doily. Nice colours! …. so sweet from you! Hola Cristina, ja veig que has estat molt productiva! A veure si em poso al dia i vaig acabant tot el que tinc pendent! Un petó per tu i la Carlota! Gorgeous mandala, Cristina. 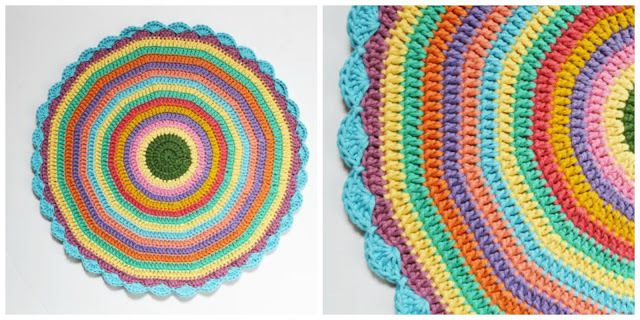 You choose the loveliest colours and your crochet is so neat. So very sad about Wink.